Here’s a little something you may not know about us. In Western Montana, one of our best features is the wonder of our wildflower blooms. Just when you thought we couldn’t be any more jaw-dropping, these miniature miracles of nature brave cold nights and dramatic spring weather to sprout their way up into Montana’s landscape in a striking display of beauty. During our heavenly warm season, our mountain woodlands, prairie grasslands, foothills and alpine meadows are sprinkled with the splendor of nature’s loveliest and most colorful artwork. Montana’s rich flora thrives in several different ecosystems, drawing wildflower aficionados, visitors and locals alike on a quest for the carpet of color or the elusive stem hidden high on an alpine ridgeline. Beargrass blooms in Glacier National Park. Beargrass is a celebrity around these parts. The impressively high (5 to 8 feet) stalks of dense white clusters blanket the subalpine landscapes of Glacier National Park and draw visitors in for a glimpse. Contrary to what the name might suggest, bears do not eat this plant! 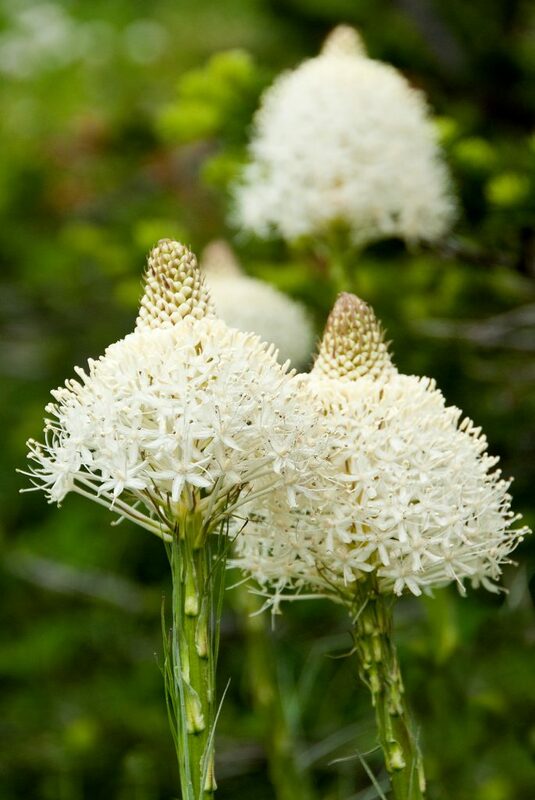 Beargrass can be found throughout Western Montana, but it’s especially coveted in Glacier National Park. It blooms in late May in the lower country and can be found in the high country into August. Though it’s a perennial and therefore blooms every year, mass blooms occur every five to 10 years, when the climate is just right. Indian paintbrush colors a Montana meadow. 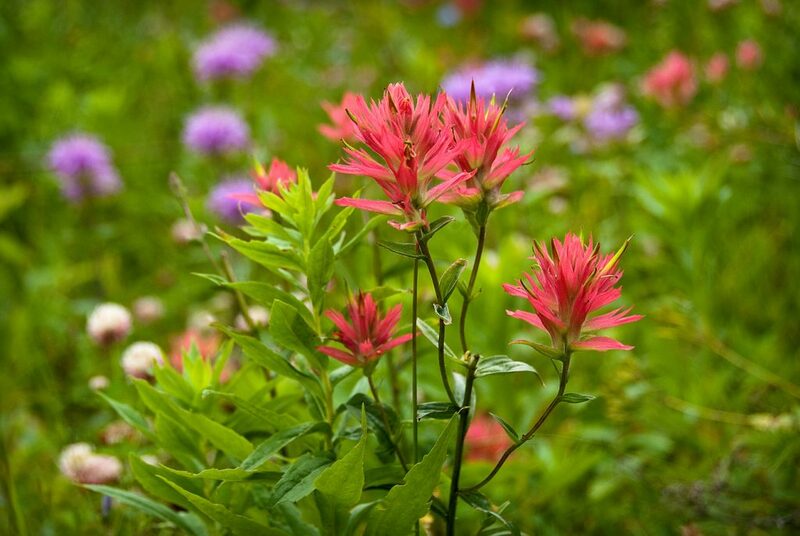 Indian Paintbrush (or prairie fire) is aptly named, having a vibrant paintbrush-like appearance and contrasting the glacial-carved terrain with rich scarlet hues. Glacier National Park boasts three red and four yellow species of paintbrush, which grow between 4 and 16 inches in height. During July and August, Montana’s alpine and subalpine meadows and mountain slopes are a canvas of Indian paintbrush. You’re certain to find them on the banks of the West Fork of the Bitterroot River in the Bitterroot National Forest. 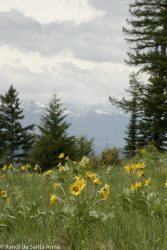 Arrowleaf balsamroot blankets a hillside overlooking the Mission Mountains. These easily recognized yellow flowers define our spring landscape and transform our hillsides into a golden-yellow. Part of the sunflower family, these plants grow in clumps 2 – 3 feet tall. Tribal nations once relied on Arrowleaf Balsamroot for food and medicinal purpose, and although these plants are still used for food today, they’re mostly eaten by our wildlife. These plants are common in low-elevation grasslands, on open slopes and ridges and in open ponderosa pine woodlands. They are often found in the company of sagebrush. Take a hike up Missoula’s Mt. Jumbo in early May to immerse yourself in the sea of yellow. A yellowbell welcomes spring in the Seeley Swan Valley. These tiny treasures are beloved because their arrival means spring is upon us. 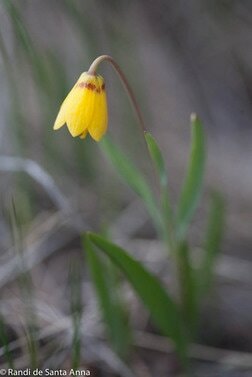 They’re one of the first of Montana’s wildflowers to bloom and can even be found humbly poking up near lingering snow. Don’t miss the distinct reddish-purple ring around the base of the yellow flower. These bashful bells keep their heads down in grasslands and dry sagebrush prairies as well as ponderosa pine forests, blooming through early May. Fireweed strikes a colorful pose on a Glacier National Park hillside. A favorite among bees and delicious in jam and tea, Fireweed is a striking pinkish-purple 4 to 9-foot cone-like shoot against the stunning Montana landscape. They flourish in avalanche sites and burn areas, where they’re usually the first plant to emerge after a fire—hence the name. 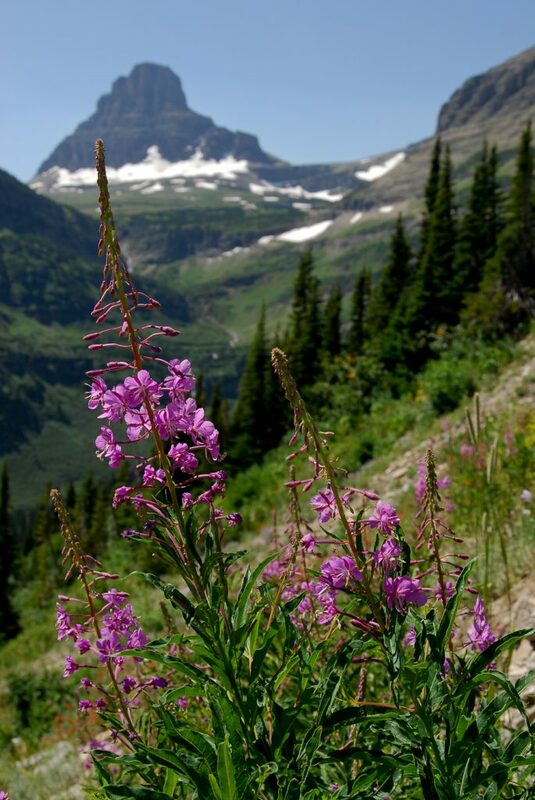 From June through September, you’ll find fireweed in open meadows, along stream banks or in open forest areas after wildfires. This entry was posted in Bitterroot Valley, Family Fun, From The Road, Getting Around, Glacier National Park, Montana, Montana Fun, Outdoor Fun, Parks, Seeley-Swan Valley, Spring, Summer, Things To Do, vacation, Wildlife on May 8, 2017 by glaciermt. I love wild flowers especially the bear grass. We do not see it here in Wyoming or at least I have not had to opportunity to discover them here yet. Thank you for the spectacular pictures and the information on each plant. Makes me homesick for Glacier Park and the “Bob”. I have a large poster of the Wildflowers of Montana that I just love.